Conversations matter in the public sector. You need cutting edge communications technology that works straight from the box. 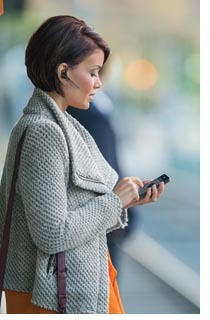 Jabra delivers this and until the end of September at an amazing price. Click here to see a selection of the best offers including Jabra’s Biz 2300, Evolve PRO 900 series headsets. Alternatively, please contact us for the full list of products on promotion. Jabra discounts for Public Sector organisations are a minimum of 40% off MSRP and are available until September 30th 2016. Click here to see Jabra’s terms and conditions. Not sure if your headsets are up to the job? Did you also know that we offer site audits to ensure compliance to EU Noise at Work legislation and security on calls without any DECT density issues? If you would like to benchmark your existing devices against the latest Jabra products, then we can arrange free trials. Can your business cope with the unexpected? Recently we benefitted from business without disruption. Whilst many other companies in our local area endured a day of frustration and interruption, we continued to work normally. Could you say the same? Complete gridlock radiated out from the M4 after a lorry overturned. This meant that the vast majority of our team could not get in to the office. No problem! Business carried on seamlessly, customers were completely unaware that the office was empty; phones were answered, orders were processed and we easily kept in touch with each other. Even being able to see each other’s availability – on a call, in a meeting or available. How? Our hosted phone system and integrated tools allowed us to answer customer calls, access our data, email and shared calendars and instant message each other. This was all done from the comfort of our homes. No wasted hours stuck in stationery traffic or having to take holiday or lose pay. Are you prepared for any eventuality? How would this scenario have affected your business? Would you like business without interruption? Call us now on 0118 920 9420 or email us at info@com-solutions.co.uk to discover how your business can benefit from hosted solutions. Looking to improve productivity and save money? Looking to improve productivity & save money? Can you easily change your phone package as your needs change? Are you enjoying lower call charges and free calls? Does your phone system make it easy for your team to work flexibly? If the answer to any of these questions is no, then call us on 0118 920 9420 to discuss how your business can achieve these benefits by moving to a bespoke hosted phone system. What benefits will a hosted system bring your business? Don’t take our word for it – see what one of our clients says about how a hosted solution transformed their business.